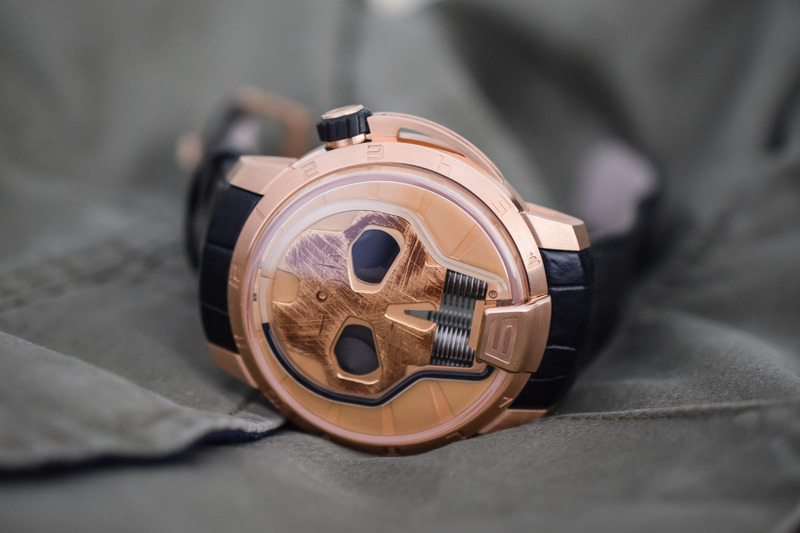 Yellow gold watches divide opinion, but they are definitely back in style, in particular with more modernly designed and bold watches – which is quite an anachronism but can definitely bring an impressive result. 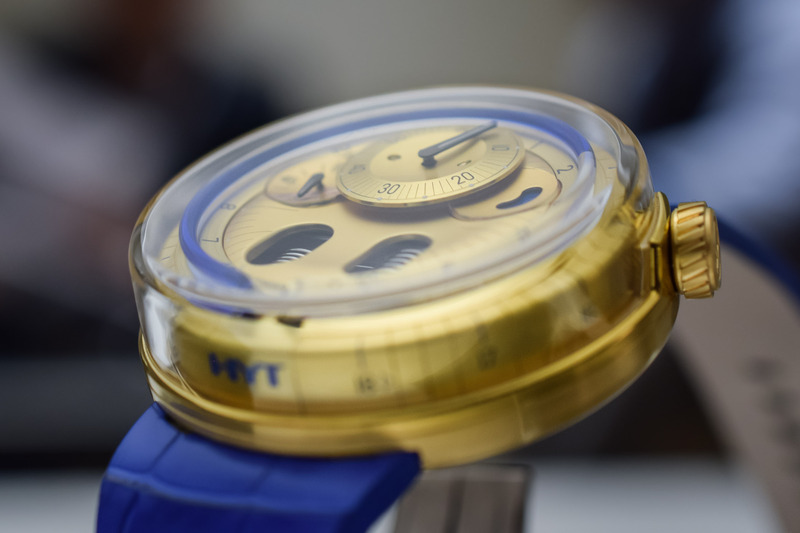 A case in point, at SIHH 2018, HYT unveiled yellow gold versions of its H0, taking the model to new territories. For centuries, the circular motion of hands has been widely adopted to display the time. 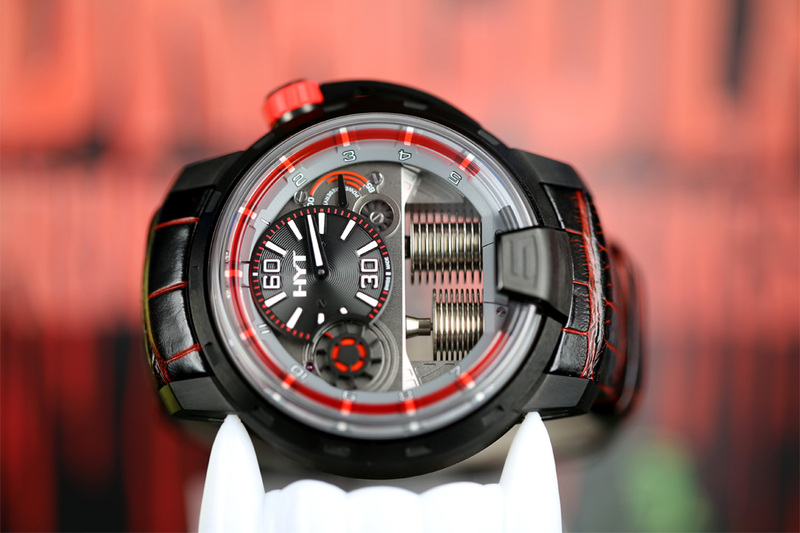 But at HYT, time is liquid and its contemplation becomes a different experience. 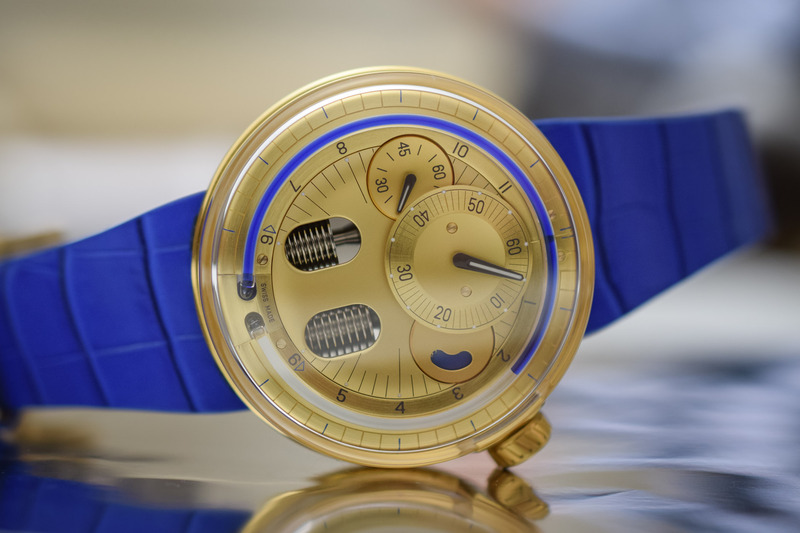 Together with its sister company Preciflex, HYT has designed high-tech bellows powered by a mechanical movement to propel fluid into a capillary (less than 1mm in diameter) to portray time in a linear fashion. The capillary contains two immiscible liquids working in opposition, the first one is coloured (indicating the time that has past) and the second one is translucent. Their separation point indicates time. When the coloured liquidr reaches 6 o’clock, it flows back to its original position. With the H0, introduced on the occasion of Baselworld 2017, HYT goes back to its origins focusing the attention on the fluids. By using an impressive sapphire dome, the contrasting fluids are visible from all angles. The watch is the brand’s new design manifesto: sleek, highly graphic with pure and modern aesthetics. It is also a tactile experience with its soft lines, smooth curves, and transitions. 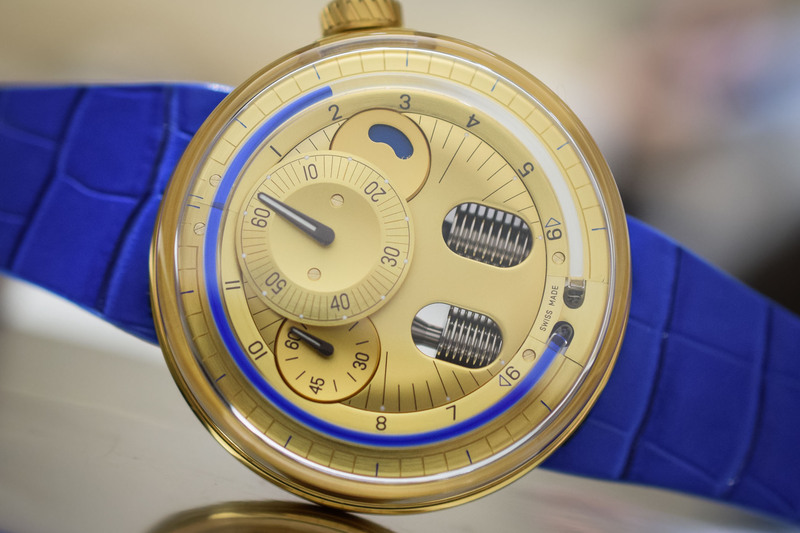 One of the latest novelties of the brand, the H0 is now presented in a luscious 2N yellow gold case displaying time with blue (or black) fluid. Its bold colours take the H0 to new territories with a bit less of that tool-watch feel but a striking presence on the wrist – all the more as the case measures 48.8mm in diameter and 17.9mm in height. 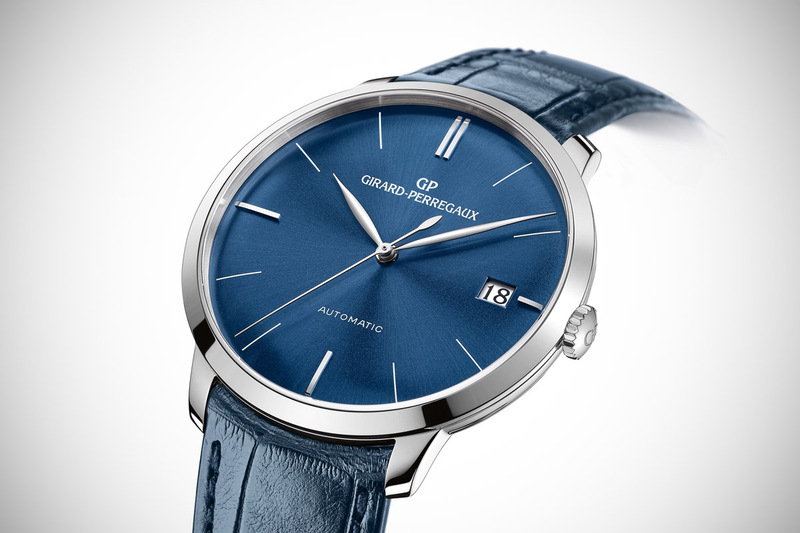 The opaline curved dial suggests the concentric waves formed by a drop of water falling into water. It mixes circular-brushing and sand-blasting. The minutes are indicated in the centre sub-dial. 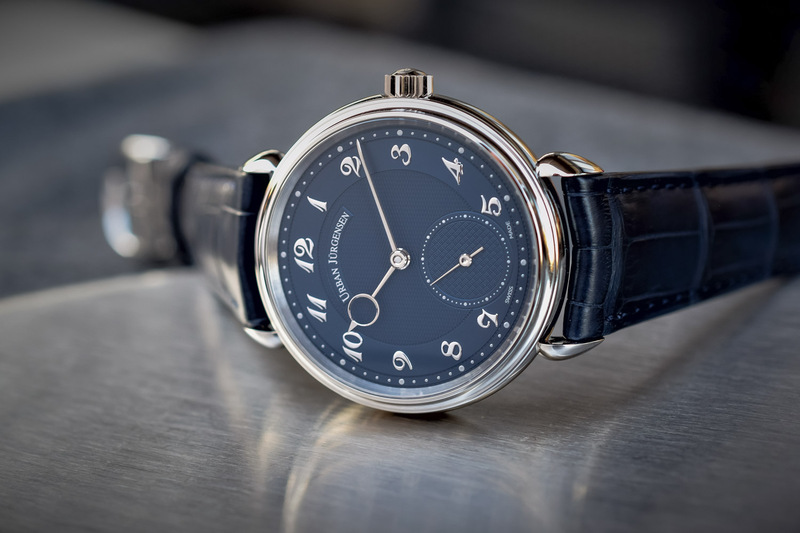 The small seconds counter is positioned at 9 o’clock while the power reserve is shown at 2 o’clock. Two cut-outs at the bottom of the dial reveal the bellows pumping the liquid. Turn the watch over and the exhibition case back provides clear evidence of the complexity of HYT’s sophisticated mechanics. 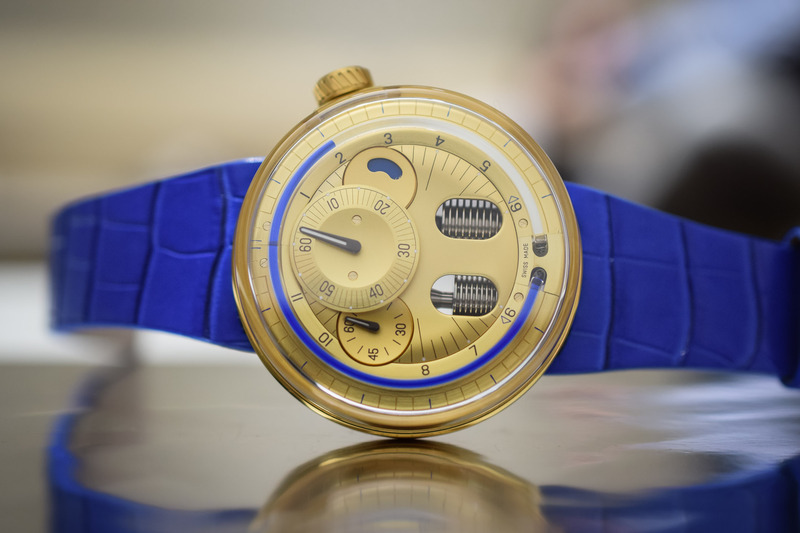 Like all H0, the gold blue fluid version is fitted with a mechanical calibre beating at 28,800 vibrations per hour that can store up to 65-hours of power reserve. 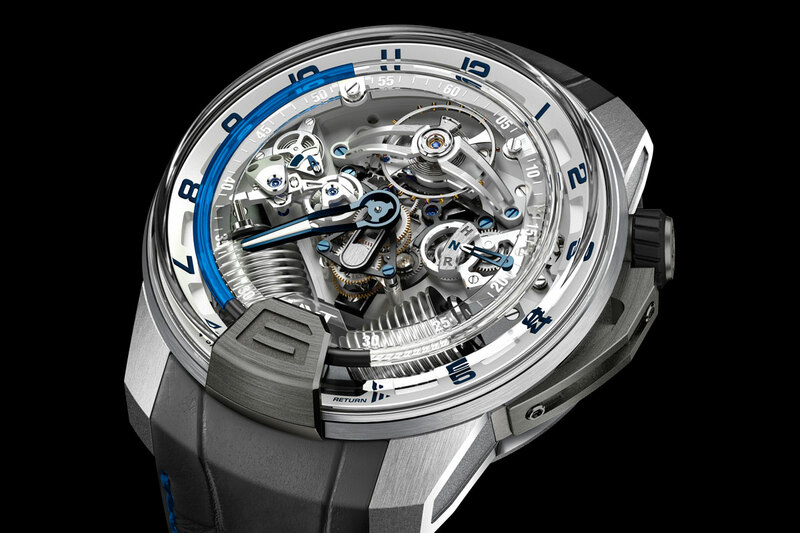 The bridges are openworked, bevelled and adorned with Geneva stripes. 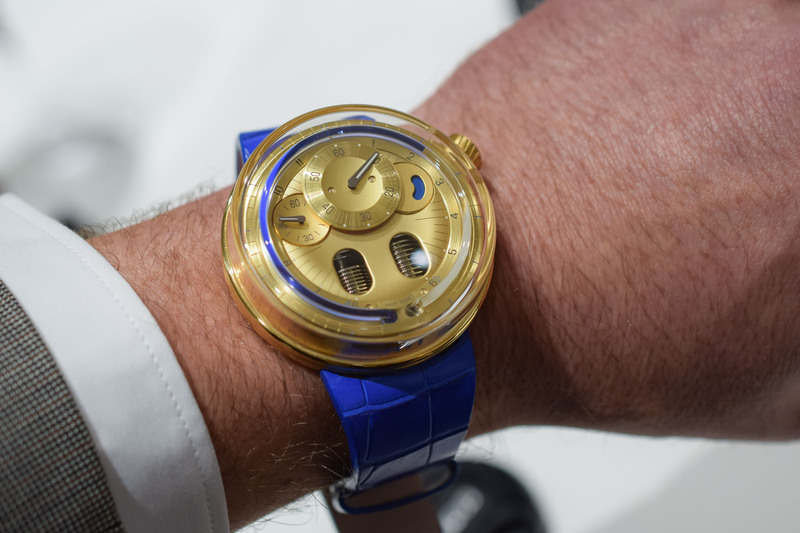 The HYT H0 gold ‘blue fluid’ is paired with a blue matt alligator strap without stitching secured with a folding buckle. Price is set at CHF 54,000. 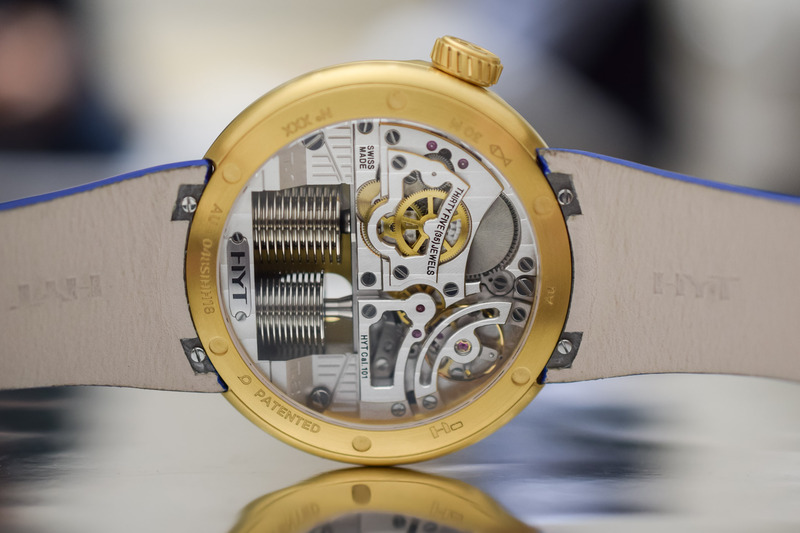 More details on www.hytwatches.com. Looks pretty bi-coastal for my wrist. 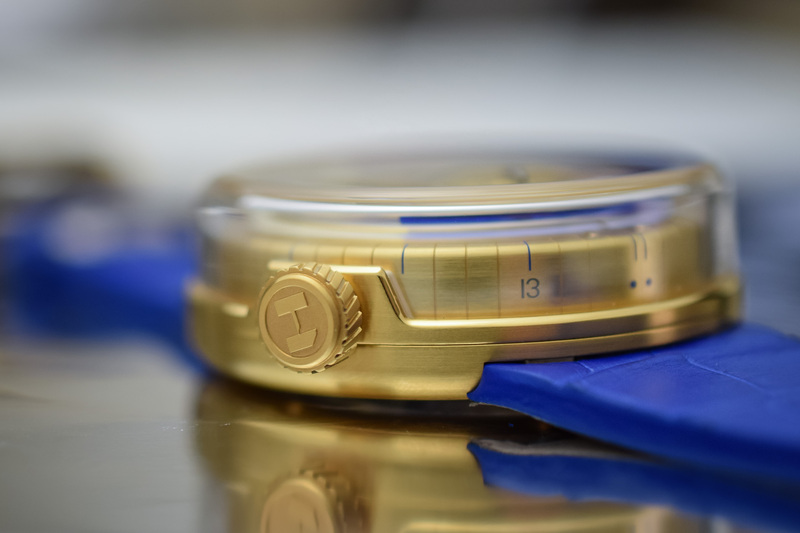 I like the contrast between the yellow gold and the blue, but not enough to wear anything yellow gold. Very much a “cocktail” watch, if only there were cocktail parties to wear it at. The sapphire is very provocative, but to me presents as more toy than urban sophisticate.